a Division of Gardner Travel Service, Inc.
For thousands of years, Eagles, Egrets and other natural residents of Kiawah have enjoyed its lush, semi-tropical environment, while remaining sheltered from the world. Today, Kiawah Island remains a haven for those who stay. However, the reasons for visiting have become more varied. From ten miles of romantic, unspoiled beach to 30 miles of paved, biking trails. From kayaking and canoeing adventures to alligator and birding walks. From oceanfront fine dining to riverside oyster roasts. Then there's the golf - spectacular golf! Five championship courses, including the world-famous Ocean Course, host of the 2003 World Golf Championship, 1991 Ryder Cup Matches and the 1997 World Cup of Golf. This is Kiawah Island, where nearby Charleston's influences abound. Kiawah's friendly character is derived from the gracious Charleston lifestyle, in which Southern Hospitality is never the exception and every meal is a celebration of tastes. 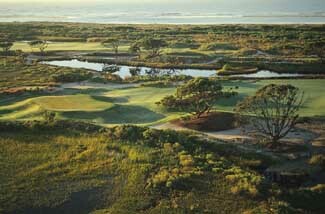 Many consider Kiawah Island to have one of the finest collections of golf courses in the country. At Kiawah Island Golf Resort, golfers can sample the works of five masters of modern golf course architecture without leaving the island. In fact, Kiawah Island Golf Resort is the only resort in the country that has three courses ranked on Golf Digest's list of "America's Top 75 Resort Courses," and Conde Nast Traveler recently listed the Resort among the top "50 Golf Resorts Worldwide." 3 Days/2 Nights starting at $509* per player! Resort Grade Villas offer Kiawah's most economical accommodations with all the necessities for a comfortable stay and all the services and benefits of being a Kiawah Island Golf Resort guest. 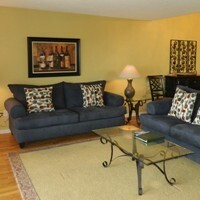 You'll find pet friendly rental units and your choice of ocean and scenic views. Deluxe Grade Villas are Kiawah's mid-priced villa rental option. These inviting villas offer upscale, well-appointed accommodations. Tasteful decor features quality furnishings and contemporary kitchens and bathrooms. Available in ocean, partial ocean and scenic views. THE ABOVE RATES ARE PER PERSON FOR 2017 AND ARE ONLY A SUGGESTED FORMAT FOR STAY AND PLAY. * INCLUDES 3 ROUNDS WITH ONE ROUND ON THE OCEAN COURSE AND STAY AT THE MOST REASONABLY PRICED WEST BEACH VILLAGE AREA. COMPETITIVE RATES ALSO AVAILABLE FOR EAST BEACH VILLAGE WHEN REQUESTED BELOW. 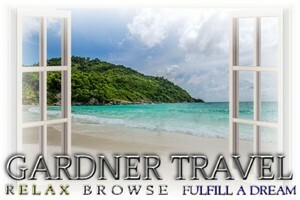 HIGH ORSHOULDER SEASON RATES ARE FOR STAYS BEGINNING MARCH 06 THROUGH NOVEMBER 26. EVEN LOWER PACKAGE RATES AVAILABLE WHEN NOT PLAYING OCEAN COURSE. EXTRA NIGHTS AND ROUNDS AVAILABLE UPON REQUEST. Ocean Course rates include walking or forecaddie. The Ocean Course is walking only before noon. A forecaddie is mandatory after noon. Suggested gratuity is $70 per bag for a walking caddie and $30 per person for a forecaddie. We offer several package options and specials throughout the year! We will send our unpublished quote to you with the lowest available package rates that we have negotiated with the resort. PLEASE NOTE: Non-golfing occupants stay free in villas with the above rates. The Ocean Course at Kiawah Island Golf Resort is to have hosted the 2007 Senior PGA and will host the 2012 PGA Championships. The Ocean Course will become only the fourth course to host each of the PGA of America's major championships. Probably no other golf course in the world outside of the United Kingdom and Ireland is affected as much by the wind. From one round to the next, a player can experience up to an 8-club difference on holes depending upon the direction and strength of the wind. Built in 1991 by Pete Dye, there are no prevailing winds on the course. Dye took this into account when designing the course. In fact, he designed two courses into one – one for an easterly wind and one for a westerly wind. 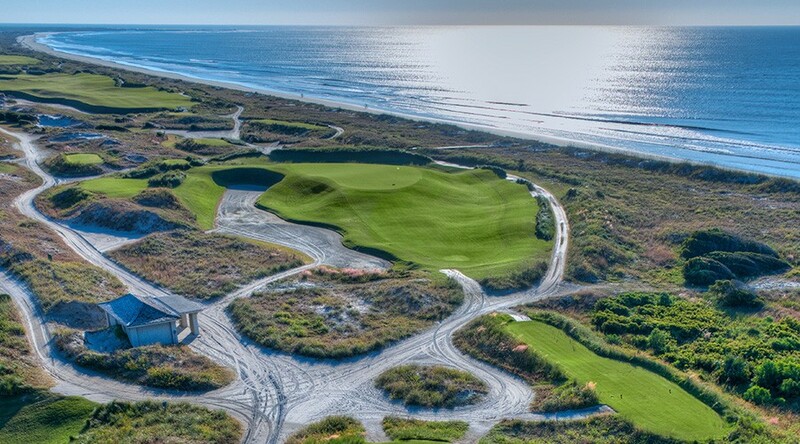 Located on the eastern-most end of Kiawah Island, The Ocean Course has more seaside holes than any other course in the Northern Hemisphere – 10 right along the Atlantic with the other 8 running parallel to those. Although it was originally designed to sit behind the dunes, Dye's wife, Alice, suggested raising the entire course to allow players unobstructed views of Kiawah’s beautiful Atlantic coastline from every hole. This improved view, however, made the course substantially more demanding as it also exposed it to the area’s brisk and unpredictable sea breezes. Walking Policy: The Ocean Course at Kiawah Island Golf Resort is a walking-only facility until noon. TEE TIMES MAY NOT BE MADE PRIOR TO 11:00AM YEAR ROUND. Ocean Course rates include walking or forecaddie. The Ocean Course is walking only before noon. A forecaddie is mandatory after noon. Suggested gratuity is $65 per bag for a walking caddie and $25 per person for a forecaddie. Jack Nicklaus once said that his number one goal in golf course design was to “make the player use his mind ahead of his muscles – to control his emotions sufficiently to really think through his options before drawing a club from the bag.” To that we say, welcome to Turtle Point Golf Club at Kiawah Island Golf Resort, one of Jack’s early designs and steeped in the finest traditions of classic golf course architecture. Because of its traditional design, many of the better players visiting Kiawah Island Golf Resort would rather play Turtle Point than any of the other courses on the island. With narrow fairway corridors, small greens, strategically placed water hazards and plenty of out-of-bounds, Turtle Point calls for great accuracy and intelligent strategies. Players not driving the ball well will struggle for par. Since it is one of the longest courses on the island, proficiency with fairway woods and long irons is a must. So is the ability to scramble. Like many of Jack’s early courses, the greens on Turtle Point are small. So players need to be able to hit shots high if they want them to stop. The course calls for players to be able to shape their shots both left-to-right and right-to-left. They will need to be proficient with every club in the bag and won't necessarily hit a driver on every hole. And true to Jack's playing philosophy, Turtle Point plays best hitting to specific landing areas to get the best angles into the greens. Turtle Point rated a near perfect “4 ½ Stars” in the 2006 Golf Digest “Best Places to Play” golf course guidebook. Generally, courses of the caliber of Osprey Point are in private club settings with restricted memberships and high membership fees. In fact, its architect, Tom Fazio, originally developed it as a members’ only type course. However, since Osprey Point is now part of Kiawah Island Golf Resort, anyone can enjoy this beautiful Lowcountry gem. Not only is Osprey Point a world-class layout, Osprey Point’s large, elegant clubhouse is available for guest’s use. It’s a favorite of not only after-round libations and dining, it’s a favorite location for wedding receptions and special event functions. A favorite of resort guests, Fazio used a superb natural canvas to create a masterpiece in playability and variety. The setting for the course features four large, natural lakes, fingers of saltwater marsh, and dense maritime forests of live oaks, pines, palmettos and magnolias. Into that backdrop, Fazio blended a par-72 layout that takes advantage of its setting. 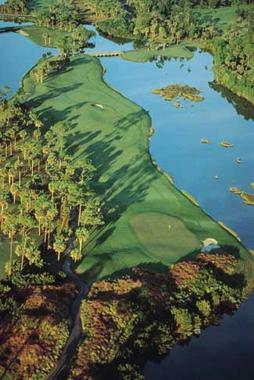 The course offers a wide variety of holes, each presenting its own unique challenges and beauty, which are bound to produce an enjoyable round. Each hole is unique and memorable. There are four distinctive par-3s, four extremely distinctive par-5s and ten outstanding par-4s ranging in length from 340 yards to 461 yards from the championship tees. More than any other course on the resort, Oak Point has gone through dramatic changes over last couple of years, greatly enhancing both the quality of golf and the overall guest experience. The resort purchased Oak Point in 1997, rounding out the championship rotation of five courses that makes Kiawah Island Golf Resort one of the world’s great golf destinations. Clyde Johnston, a noted Southeastern golf course architect, designed Oak Point on the grounds of former tomato and indigo plantation. With its close proximity to the Kiawah River and the Haulover Creek, with its surrounding maritime forest, Johnston was able to mold the rolling landscape into a first-class layout. Undulating fairways and challenging greens are some of the unique features of Oak Point. In 2004, in consultation with Johnston, major renovations to the front nine were completed. Gone was the notoriously challenging par-4 third hole that featured a sharp dogleg right requiring an iron off the tee, then a short iron to a green with absolutely no margin for error. To make up the four shots to par that the elimination of the hole caused, the green on No. 1 was pushed back approximately 130 yards, changing the hole from a 402-yard par 4 to a demanding 530-yard par 5 with the green guarded by water on three sides. Additionally, a new 152-yard par three 9th hole was added next to the new clubhouse with a picturesque view of the Haulover Creek as a backdrop. Oak Point is a shotmaker’s course. 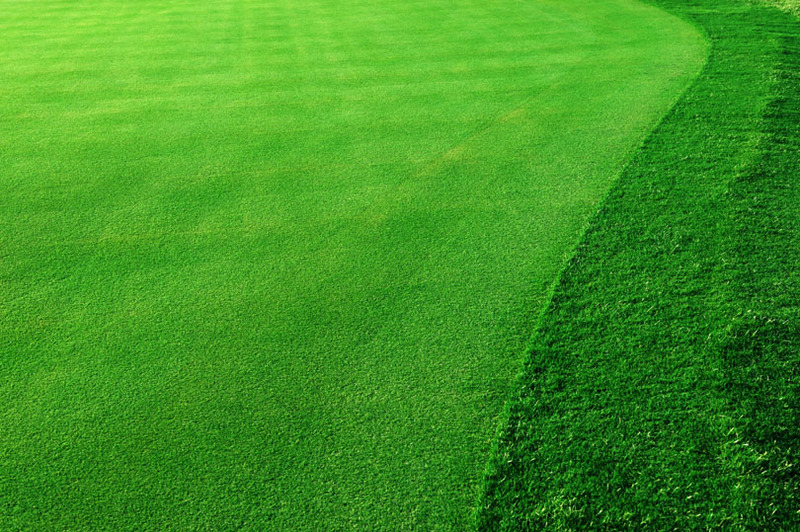 Strategy and a thinking approach to the golf course will be rewarded over pure power. In this sense, it is a bit of a throwback to the classic courses of the 1920s where the ability to place the ball in a certain portion of the fairway or a certain spot of the green was more important than power. Throw in the beautiful vistas and it is easy to understand why Oak Point recently received a near-perfect 4½ stars from the readers of Golf Digest magazine in their biennial “Best Places to Play” poll where it was rated one of the best values in South Carolina. One of the most dramatic vistas on the island is the middle of Cougar Point’s front nine, along the Kiawah River, making this course a very memorable one. Originally named Marsh Point, Cougar Point was redesigned by Gary Player in 1996 and plays 6,875 yards. It features a great blend of short and long par-4s, great risk/reward par-5s and extremely scenic and challenging par-3s. Cougar Point’s long par-4s feature wide landing areas putting the driver in the player’s hands, and open-run-up areas in front of the green making them reachable by the shorter hitters using a wood or long-iron. Its short par-4s feature great “target golf” where players must find specific landing areas on their drives to avoid obstacles and provide the best angle to the greens. It has become a great strategic layout where players need to think their way around the course. For example, on No. 5, players want to be to the right to avoid hitting over and around trees. On No. 7 and No. 8, players must be to the left to avoid trees guarding approach shots. No. 6 has a spectacular view, and No. 17 is considered by many to be one of the prettiest and most challenging golf holes on the island. It was recently awarded a near-perfect 4½ stars in Golf Digest’s “Best Places to Play” reader’s poll. East Beach & West Beach Villages - these villages place you close to The Sanctuary and Night Heron Park (home of our Nature Center) as well as the pleasures of a Bike Shop, two pool complexes, the Tennis Club and some of our favorite island restaurants. Spectacular ocean views, lagoon views and dune views abound. Your villa may overlook the fairways or the ocean. It may place you on an exotic lagoon or adjacent to the tennis courts. Some include such niceties as fi replaces and screened in porches. Of course, this option confers all resort guest privileges and advantages. All villa units are individually owned and may vary depending upon owner preferences. Guest renting villas and homes directly from the Official Resort at Kiawah Island Golf Resort (KIGR) enjoy the very best vacation experience and the very best value on Kiawah Island. 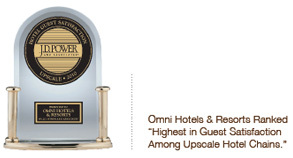 Only KIGR guests enjoy preferred access and pricing at the following world-class amenities. KIGR guests have exclusive and complimentary access to both of the resort-owned and operated pools. The Tennis Club pool, now designated as an "adult-only" facility, provides a quiet getaway for guests over 21 years old. Seasonal towel service and a limited bar serving beer and wine are available at the Tennis Club pool. The Night Heron pool complex, the resort's most popular pool, is the ideal spot for families. Conveniently located in the middle of our 21-acre park and recreational facility, it is only steps from the beach. Night Heron pool offers full service poolside dining (seasonally) and is heated in the spring and fall and chilled in the summer to make it even more enjoyable. Please note that the indoor and outdor pools at The Sanctuary at Kiawah Island Golf Resort are reserved exclusively for hotel guests. KIGR guests enjoy preferred tee times and savings of up to 25% on golf on our five world-renowned golf courses, including The Ocean Course. 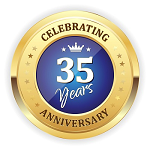 KIGR guests are also entitled to preferential advance reservations for court time and tennis programs, and savings of up to 50%. KIGR guests also enjoy the only discounted rates for nature and recreation programs on Kiawah Island - for example, our guests save $20 per child per day at Kamp Kiawah. Complimentary door-to-door transportation service throughout Kiawah's 10-mile island is only available to KIGR guests. Service includes transportation for families to any resort-owned venue. 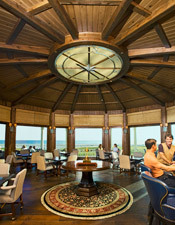 KIGR guests enjoy year-round access and advance reservation privileges at all resort-owned restaurants, including those located in The Sanctuary at Kiawah Island Golf Resort. KIGR guests can take advantage of our exclusive grocery shopping service and have their villa stocked with groceries prior to arrival. KIGR guests enjoy year-round access to Kiawah's only non-private, world-class spa facility, which is located in The Sanctuary at Kiawah Island Golf Resort. KIGR guests may schedule treatments seven days in advance. Guests not renting through the resort are restricted to same-day reservations, based on availability. KIGR guests enjoy the convenience and luxury of a cashless vacation experience with charging privileges in all resort-owned golf and tennis shops, gift shops, retail outlets, restaurants and The Sanctuary Spa. KIGR guests receive personal, professional service from over 1,000 experienced employees who are available to assist with any requests they may have to enhance their visits. KIGR is the only island villa and home rental company that provides complimentary trash and towel services (upon request) and 24-hour on-site guest services such as front desk, maintenance and housekeeping so that we can fulfill any request at any time of the day. The only way to ensure the best villa and private home vacation experience on Kiawah Island at the best value is by staying as a guest of Kiawah Island Golf Resort, the official owner and operator of resort amenities on Kiawah Island! Play Around Austin w/choice course selections! Play Around San Antonio w/choice course selections! Play Around Dallas w/choice course selections! Play Around Houston w/choice course selections! With Southern Breeze, you come first. If when you play is an important factor to you and your playing partners, we get there first. You can be assured that our tee times are generally the best of the day because we access the tee sheets well before the general public and usually 30-120 day days in advance. And although we serve foursomes and larger groups, we can also assist the single player in many cases. Our unique advance planning service insures that you play when you want to. Whether it is teeing it up at one of the many resort destinations that we represent or our individual and highly-ranked golf clubs listed throughout our web site, you can rest assured with a premium golf tee time from Southern Breeze Golf Tours.